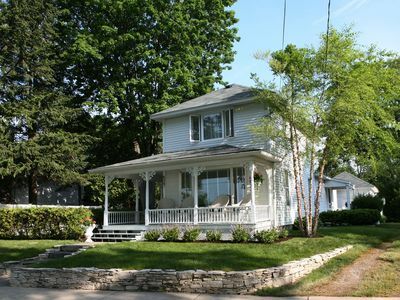 This lovely 3-bedroom, 3-bath cottage is located directly on Lake Michigan within Wilderness State Park. The park has miles of hiking and biking trails and a great white sand beach for swimming or enjoying your favorite water sport. Wilderness has plenty of wildlife and there are ample opportunities to view them. There are deer, fox, bobcat, bear, coyote, eagles, hawks, owls, loons - just to name a few. 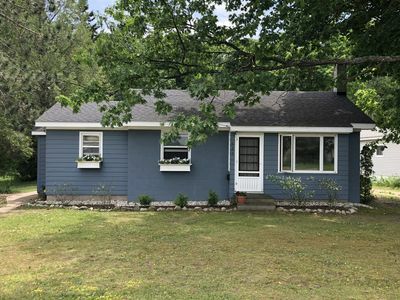 The cottage has been completely renovated and includes 3 bedrooms, 3 bathrooms and a very large open family area. 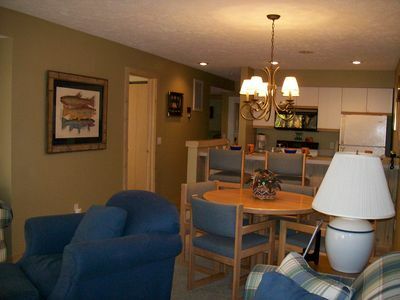 There is plenty of room for family and friends to join in the meal preparation while enjoying the incredible views of Lake Michigan and the Mackinac Bridge. 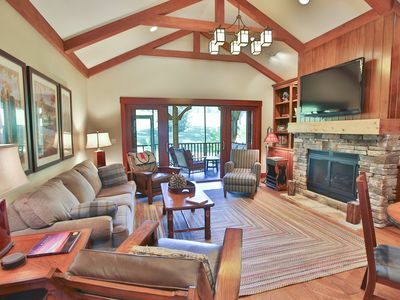 There is ample seating for meals and the kitchen comes well stocked. 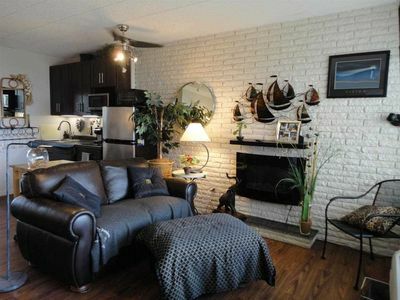 It has a full size refrigerator, gas stove/oven, microwave and dishwasher. 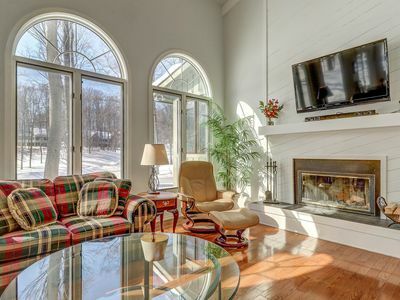 There's a sun room off the master bedroom with additional seating. 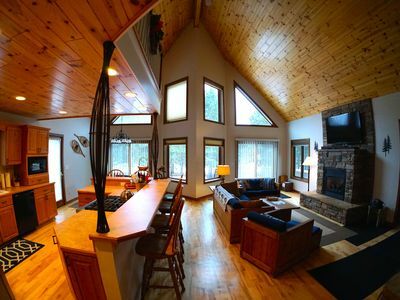 Each bedroom boasts a beautiful queen size log bed and custom made log furniture. 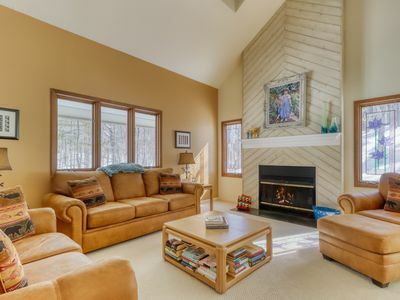 Take the chill off the cool nights with the wood burning fireplace in the family room. 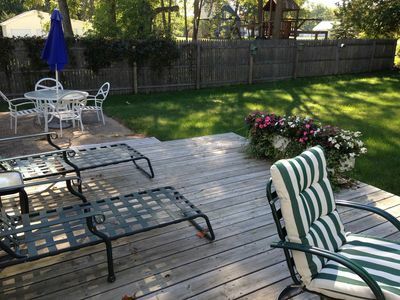 There is a large deck outside; a fire pit in the yard; plenty of beach chairs and a couple of kayaks for your enjoyment. Play a game of cards, or tell ghost stories - it's a perfect place to reconnect with your family or friends. 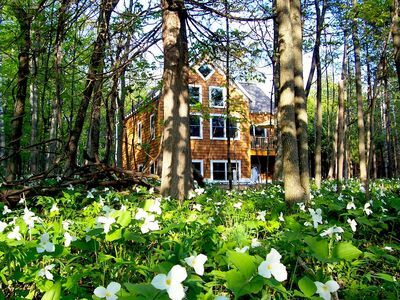 If you are looking for peace, tranquility and adventure, this is the place for you. 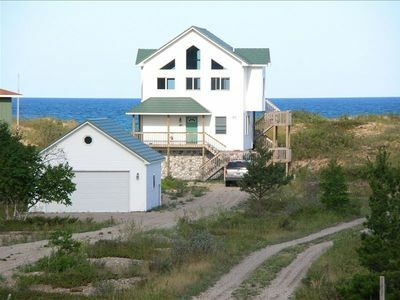 Although the cottage is away from the hustle and bustle of Mackinaw City, it is a short 15 minute drive to get there. Shop, dine or enjoy some famous Mackinac fudge or a fresh churned ice cream cone. 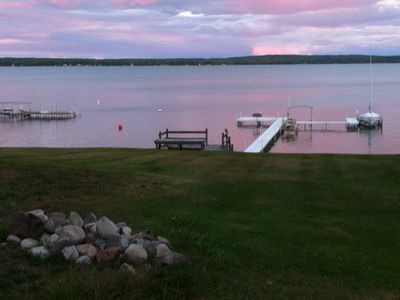 They say "location is everything" and you won't find a better location to enjoy all that Northern Michigan has to offer. 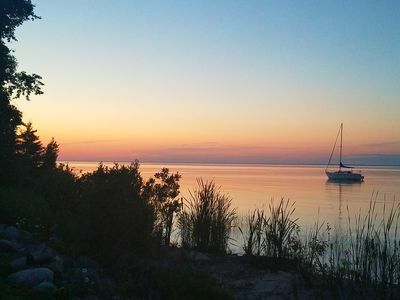 If you are interested in star-gazing, the night sky over Lake Huron is beautiful. You can also drive 10 minutes to the Headlands - designated as a 'DARK SKY PRESERVE' - one of only a few locations in the USA! This is given to a few special areas that are free of artificial light. The night sky is breathtakingly beautiful! In the spring, birdwatchers gather from all over the country to catch a glimpse of the incredible hawk migration. 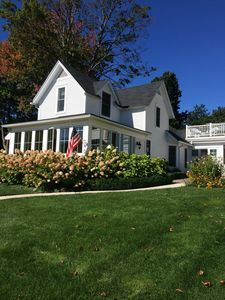 Historic Fort Michilimackinac and the Old Mackinac Point Lighthouse, McGulpin Point Lighthouse and the ferry docks to Mackinac Island - are all minutes away. In the fall, take the color tour through the "tunnel of trees" or enjoy spectacular scenery in the Upper Peninsula, an easy drive across the mighty Mackinac Bridge. 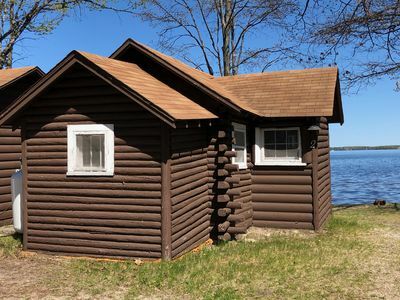 There's nothing quite like the sound of bugling elks during mating season at Pigeon River or the mysterious call of the loon on a quiet lake. It's all here! Hunt, fish, hike, canoe, bike - you can do it all or you can just relax with a good book. There is something for everyone here. 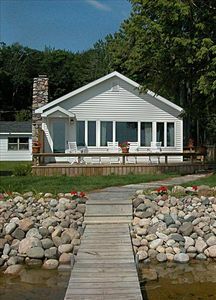 The beach in front of the cottage is rocky so bring your water shoes. The sandy beach is just a few steps away . 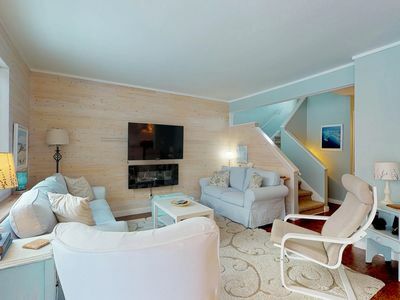 One Bed, With Kitchenette Bathroom And Dock Space. 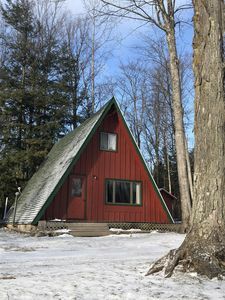 Cozy little A-Frame located in beautiful Harbor Springs. 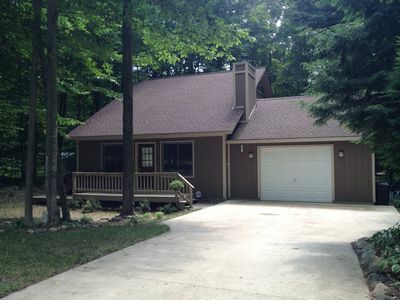 Family-friendly home with gourmet kitchen, semi-wooded- access to shared pool! 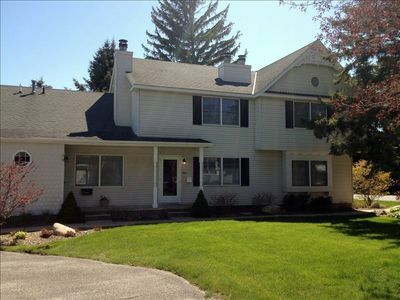 Expansive home on golf course w/ shared clubhouse amenities & full kitchen!